This is a smart make-up tool. 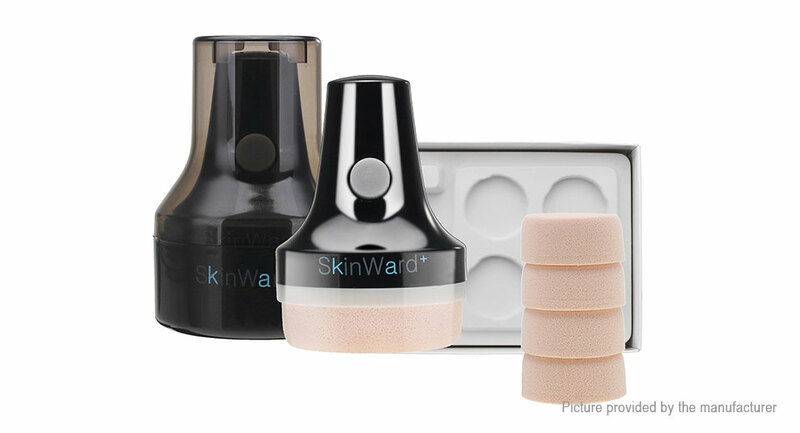 It is a new innovative vibrating make-up applicator that helps make skin, smooth and radiant by using powerful and delicate vibrations. Smart puff has been created to leave your skin with a professional finish and a complexion. BB cream and other makeup base thinly, evenly and clog free while enhancing absorption. It enables anyone to apply makeup easy and fast thanks to its portable size and refillable puffs. With these healthy vibrations you get perfect V line as continues usage tighten your face skin and makes it more elasticated hence delaying the aging process and eliminating wrinkles.